For any question or request, please contact us by email or by phone. Loading factor of 4.5 tons. 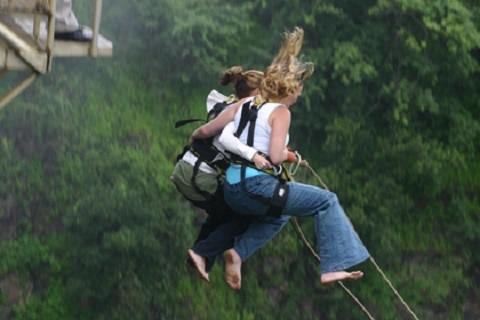 Imagine a bridge over a 160 m deep high tropical gorge, with one of Nepal’s wildest rivers raging below... Now jump. After 3 hours drive from Kathmandu, we arrive at The Last Resort which is located on top of a gorge close to the Tibetan border. We travel on the Arniko highway (Kathmandu / Lhasa) to within 12 km of the Tibetan border where the famous Friendship Bridge is located. 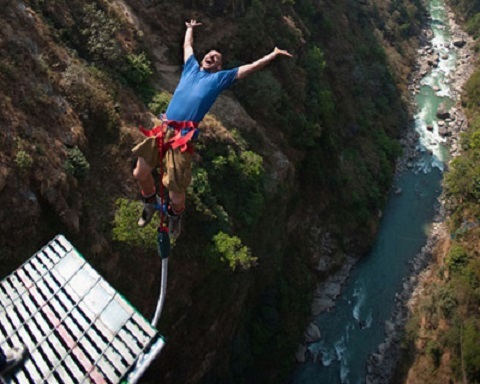 This bridge for our bungee jumping is the only privately owned bridge in Nepal. It has been specially designed for bungee jumping with a height of 166 m, a 4x safety factor and a loading factor of 4.5 tons according to Swiss measurements. - Transportation by tourist bus from Thamel to Last Resort and back to Thamel. 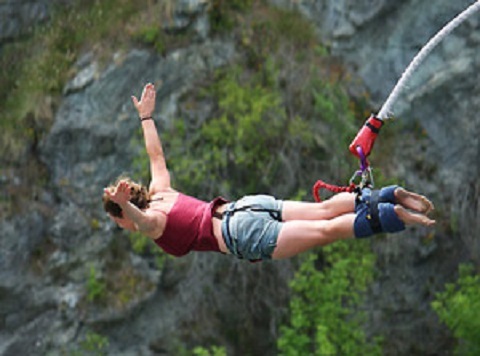 - 1 time bungee jumping. Copyright © 2014-2019 TREKKING AND TOUR FOR FAIR TOURISM.